Murray general duty safety switches have a compact size, are horsepower rated, and have a quick make-quick break mechanism. All switches are provided with highly visible "ON" and "OFF" indicators and padlocking provisions on the handle and door. 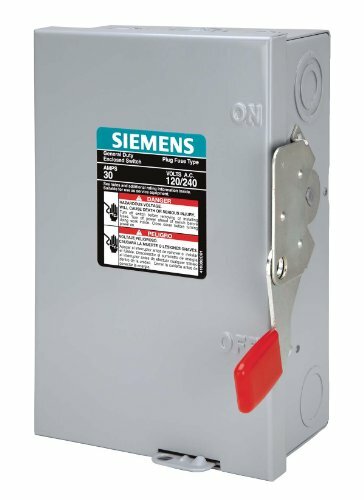 All switches are UL listed and are suitable for copper and aluminum wire. Fuses not included on fusible devices and accept Edison base plug fuses. Use HA type hubs if required.